In order to make a patio more useful in variable weather conditions, homeowners often choose to cover them. A patio cover is simply a structure that provides covering for the patio area to block sun and rain. A patio cover can be made from aluminum, metal, vinyl, or even cloth and is often a precursor to an enclosed patio structure. The most common types of patio covers are often referred to as awnings. There are both static construction awnings, meaning they are permanent structures covering the patio area, and also retractable awnings. A permanent structure is built out from the house below the gutter and extends the width and length of the patio, supported by posts along the longest edge. This type of patio cover can be constructed of a variety of materials, but aluminum and vinyl are common. For homeowners who want the flexibility of a covered patio in inclement weather, but an uncovered patio in nice weather, they may choose a retractable awning for their patio cover. Retractable awnings are available in a variety of styles and can be extended or retracted either manually or electrically, depending on the model. These types of patio covers are ideal when a permanent structure is not desired. In some cases, homeowners may want to extend their living space by converting a patio into a three-season room. 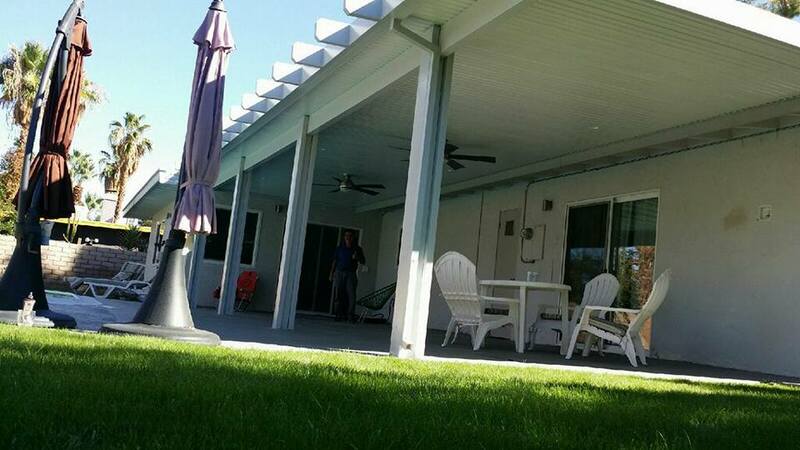 This process involves more than just the installation of a patio cover, as it is a complete enclosure. In temperate climates, an enclosure consisting of a cover, kneewall, and screens is sufficient to create a weather-resistant, insect-free space. In climates where excessive heat and cold is normal, an enclosed patio with windows will extend the seasonal use of the space. If you want to avoid permanent construction, consider retractable awnings. If you think you might be interested in converting the patio to a three-season room, start with a well-constructed vinyl patio cover and use a contractor to have it professionally installed. This will leave future construction options open. Make sure to coordinate any future plans with current ones, including electrical and lighting options, as well as ensuring water tightness and cover construction. Remember to consider weight load when choosing a patio cover for a home in snowy climates. Whether you want to create additional living space, protect your patio furniture from rain, or shade your patio area from sun, a patio cover is a good investment. The variety of styles and building materials available make them reasonably affordable for any budget and they can provide many benefits that make better use of existing but infrequently used patio space.